A blueberry muffin is a seemingly innocent breakfast from the sound of its name. How could something with a fruit be unhealthy, right? Unfortunately, most blueberry muffins—and other kinds for that matter—are just glorified cupcakes that are twice the size, so if you’re craving a muffin your best bet is to make a batch yourself. 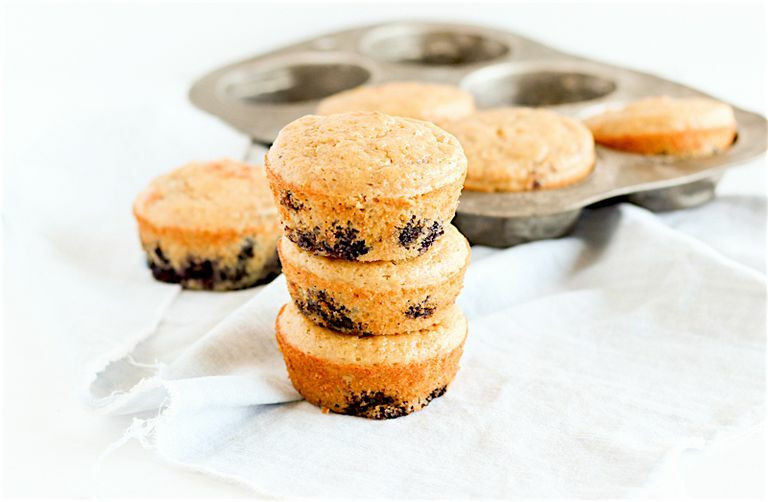 These whole grain wild blueberry muffins are made with whole wheat flour for extra fiber and tasty wild blueberries for sweetness with less sugar. They are great to go alongside some fruit and yogurt or eggs for breakfast. If your mornings are chaotic, they ’re also easy to grab on your way out the door in the morning. One batch makes 12 muffins, so you can even freeze half of them for later. Heat oven to 400F. Spray a standard muffin tin with cooking spray or line with muffin liners, then spray with cooking spray. In a large bowl, whisk 1 1/2 cups flour, sugar, baking powder, and lemon zest. In a separate bowl, whisk together wet ingredients. Pour into dry ingredients and stir gently until just combined. In a small bowl, toss blueberries with remaining 2 tablespoons flour. Gently fold into the batter. Scoop batter into muffin tin, filling about 3/4 of the way full. Bake 15 to 20 minutes or until a toothpick inserted into the center comes out clean. Cool 10 minutes before removing muffins from the pan. You can substitute fresh blueberries or regular frozen blueberries. To make lemon blueberry muffins, add 2 teaspoons lemon zest to the batter. To keep these muffins lower in sodium, I left out the salt and baking soda since those are big sources of sodium in most baked goods. If you can find low-sodium baking powder, it would make these even lower in sodium, but regular will work too. As with any muffins, stir the batter until just moistened and very gently fold in the blueberries to keep the muffins light and airy. Over-stirring will yield more dense, tough muffins. You may freeze muffins to thaw and reheat as needed.